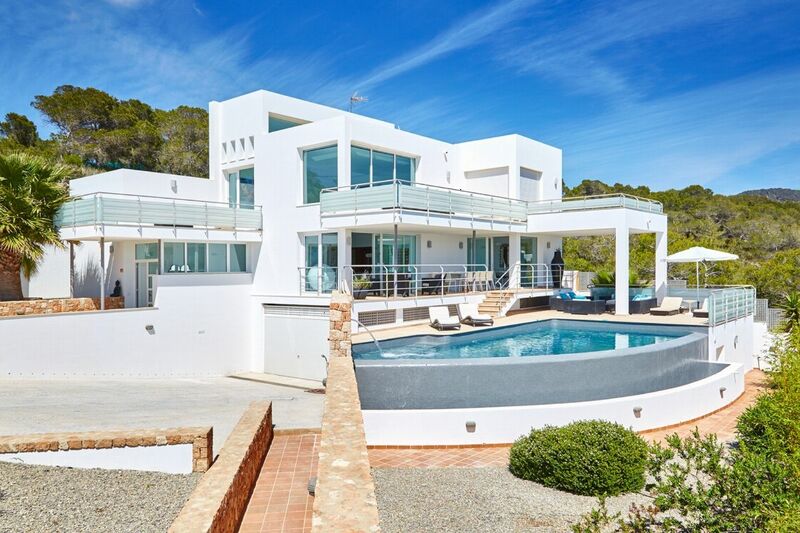 Beautifully designed villa in a privileged location with spectacular sea and sunset views. 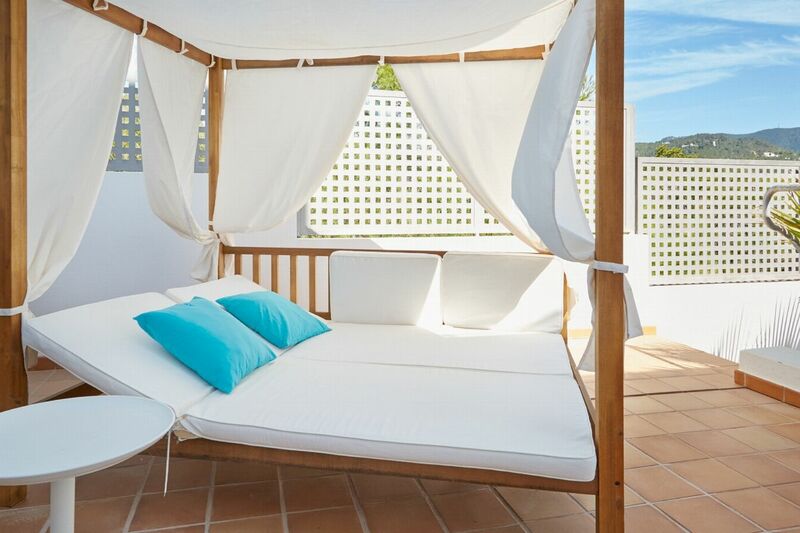 Villa Andrey is a very comfortable and well equipped villa. 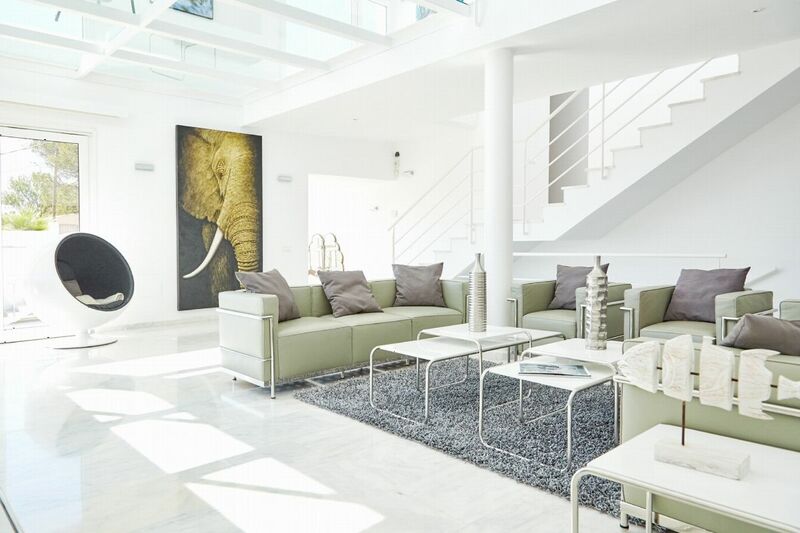 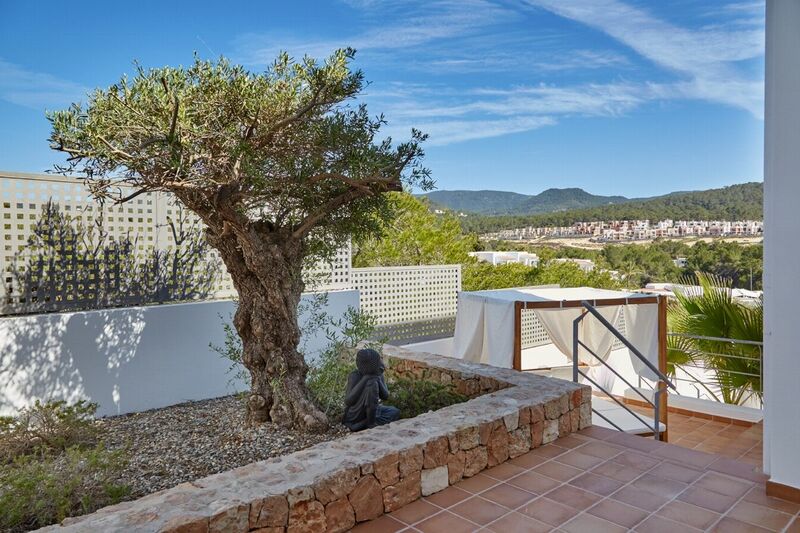 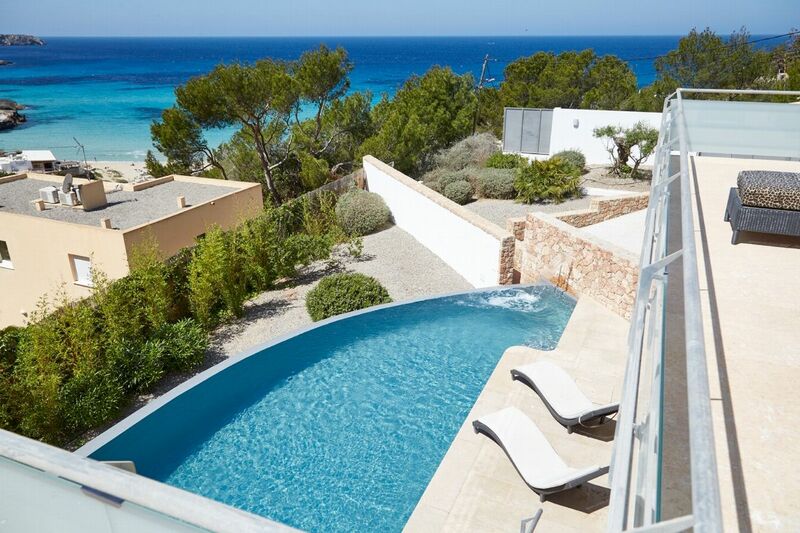 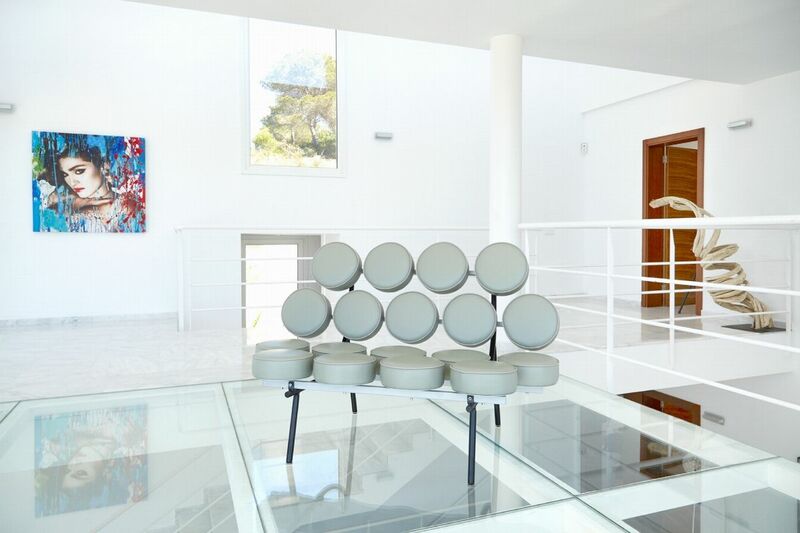 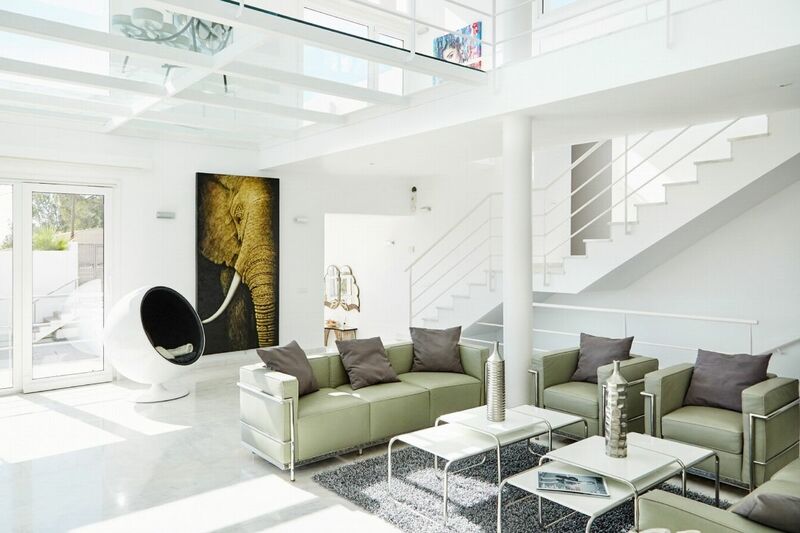 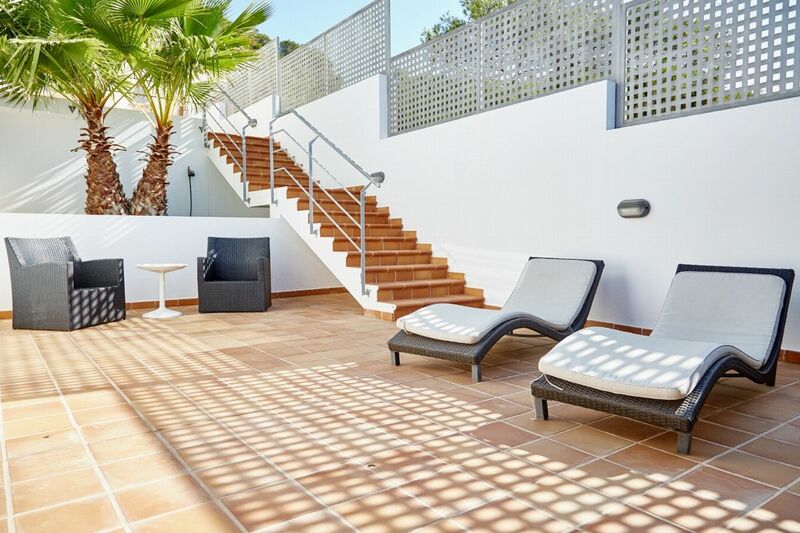 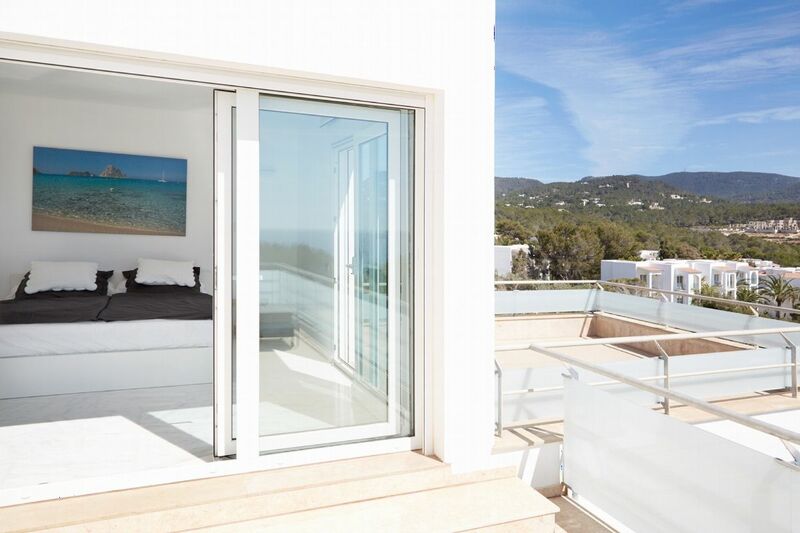 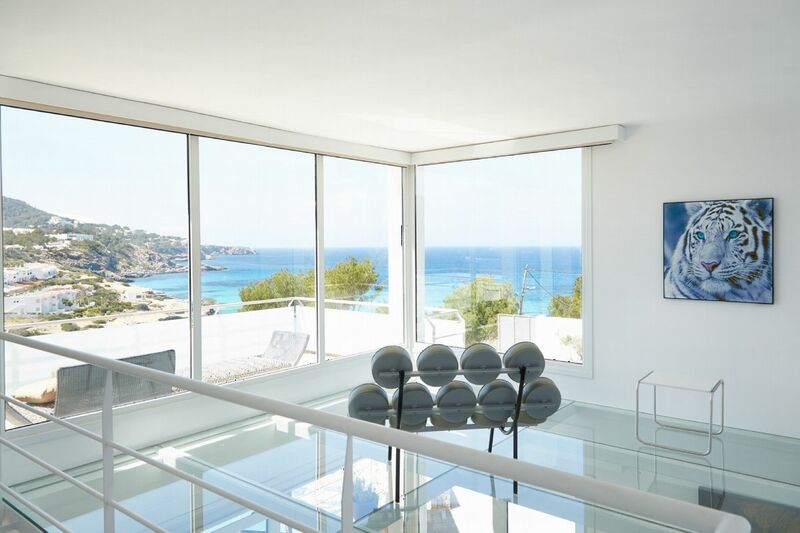 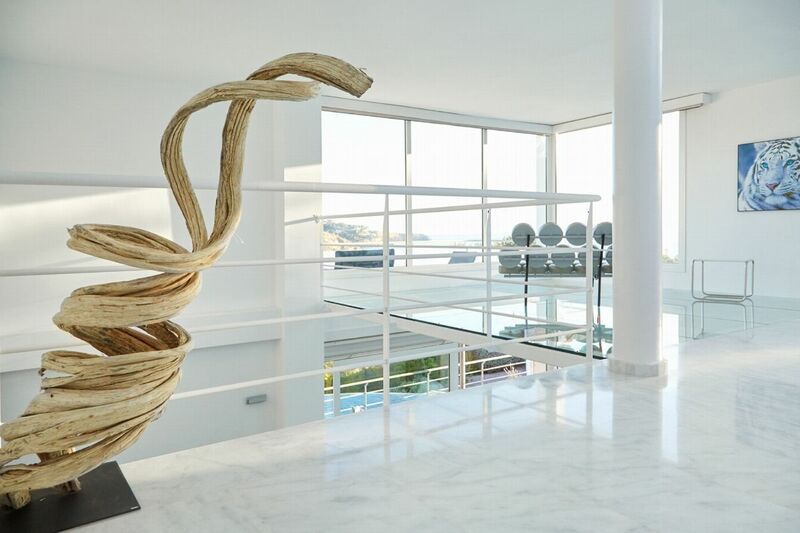 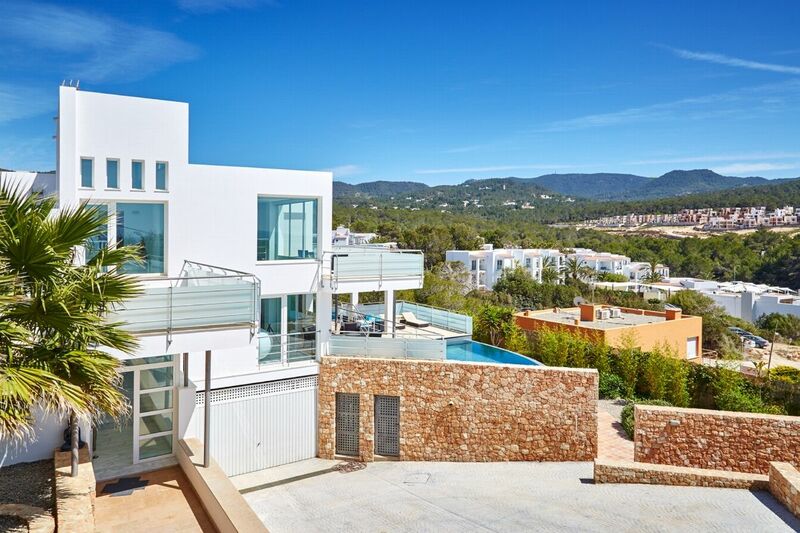 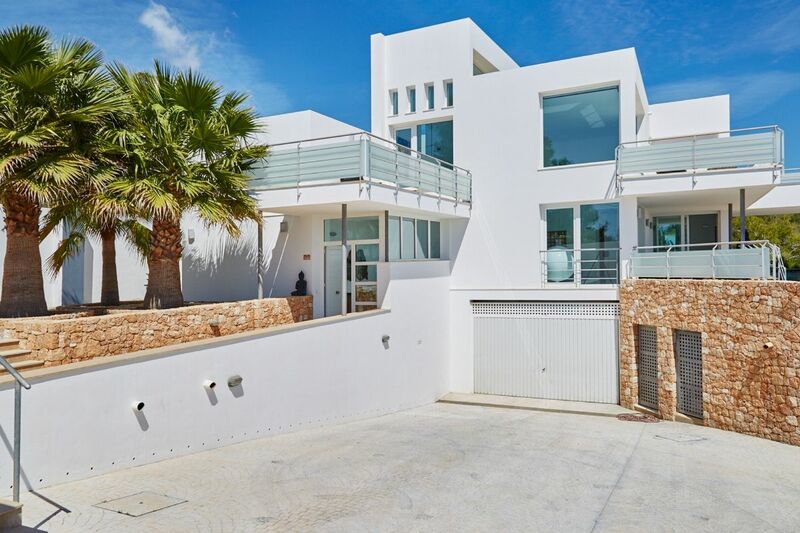 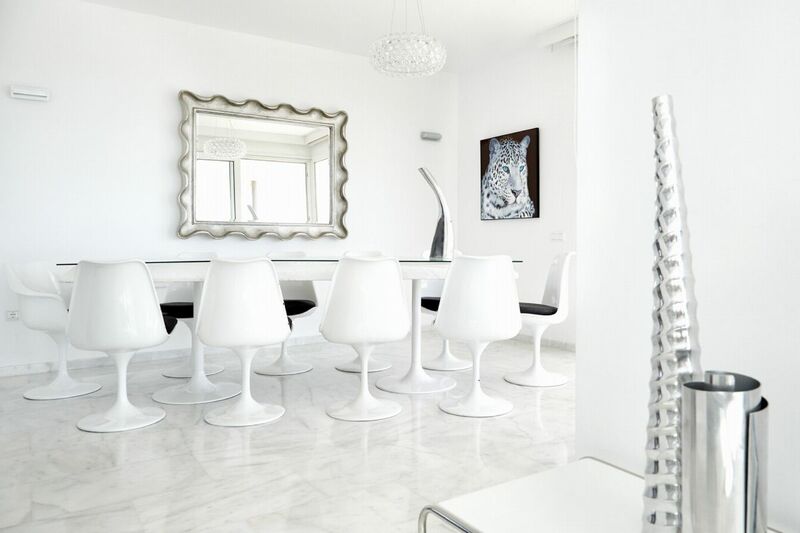 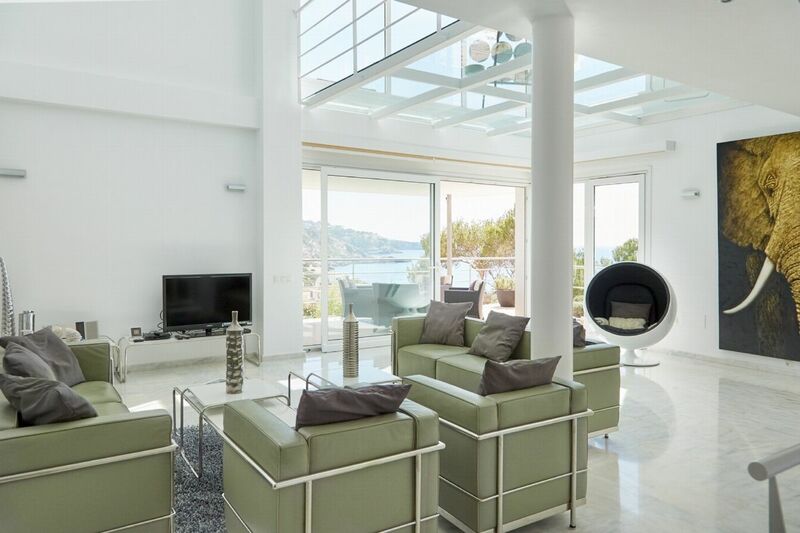 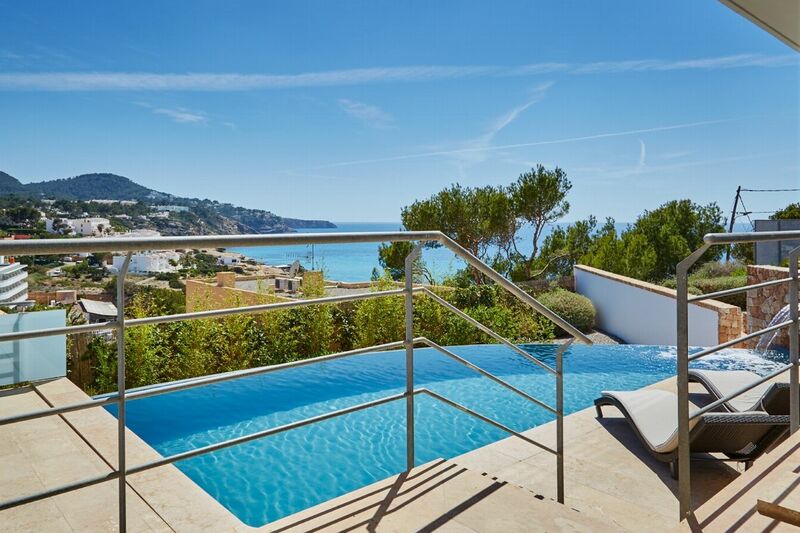 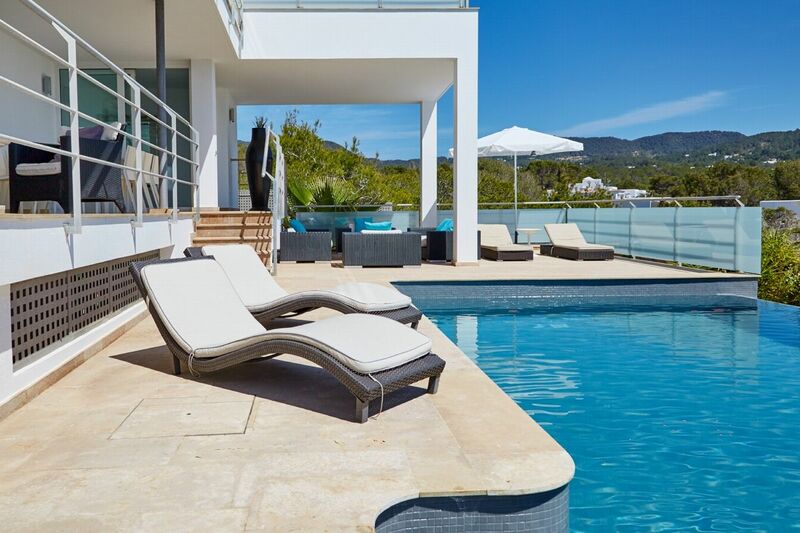 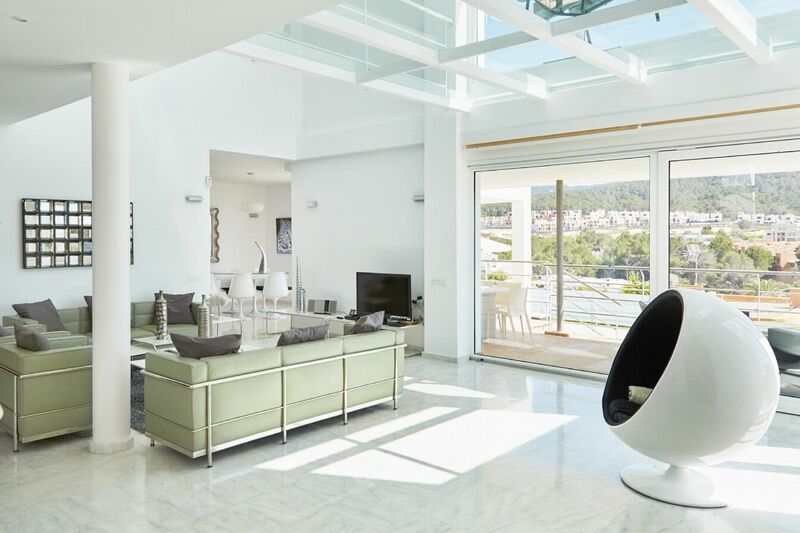 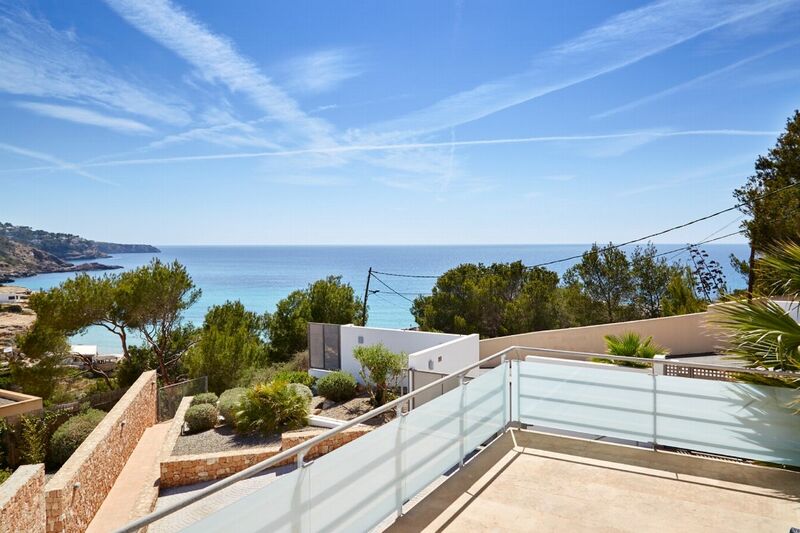 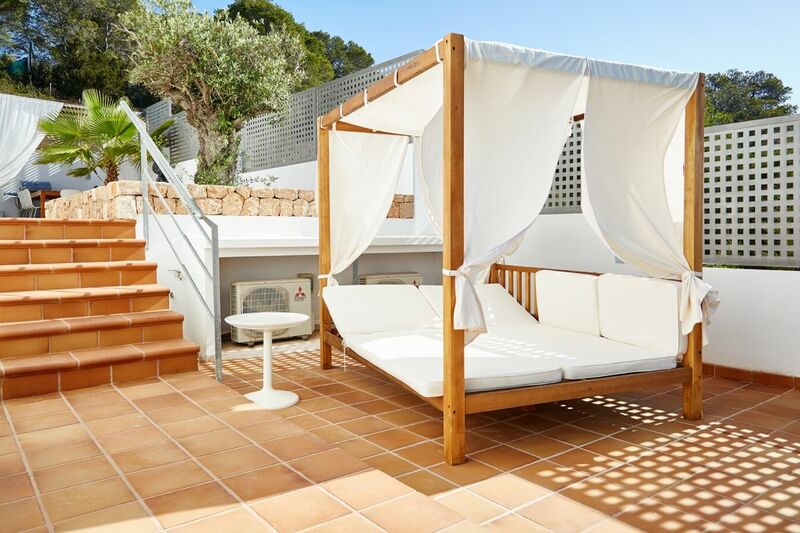 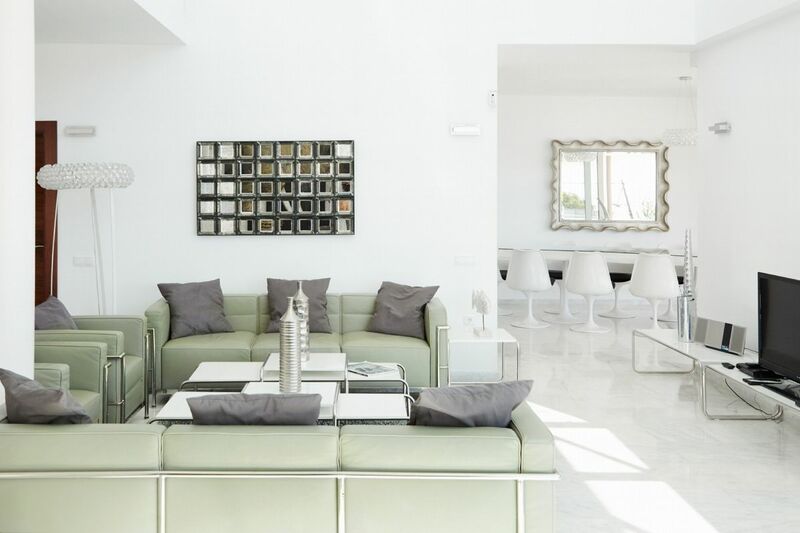 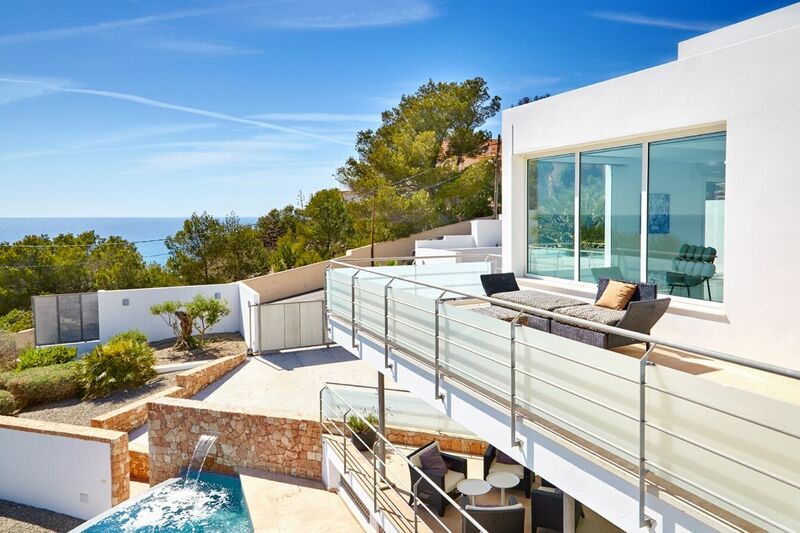 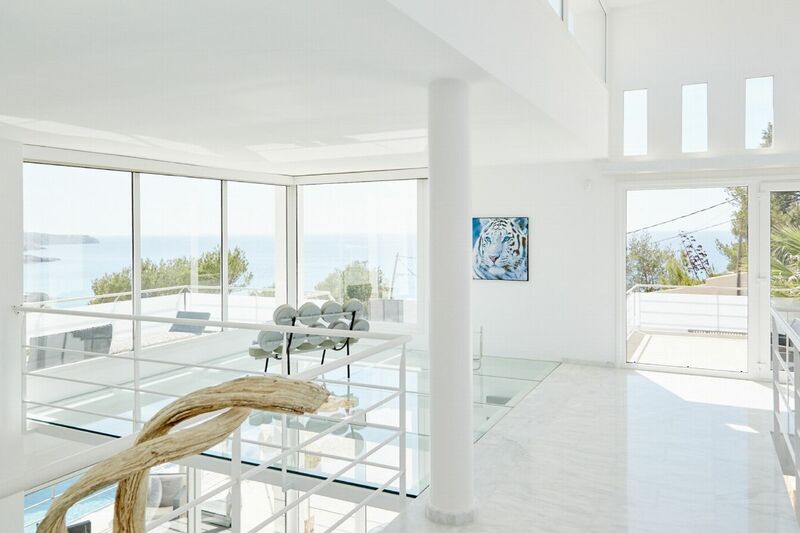 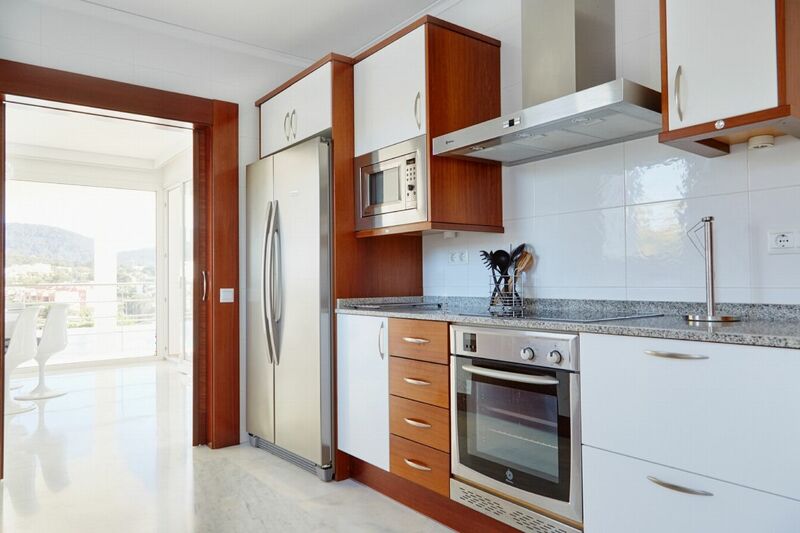 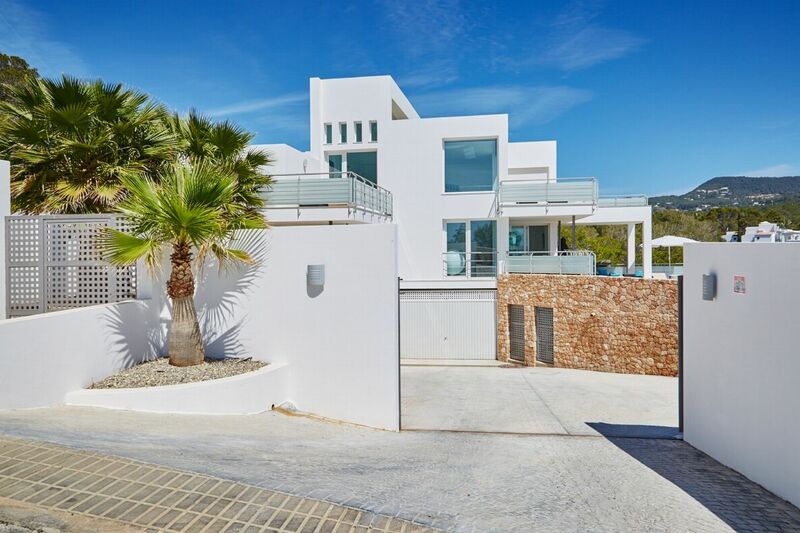 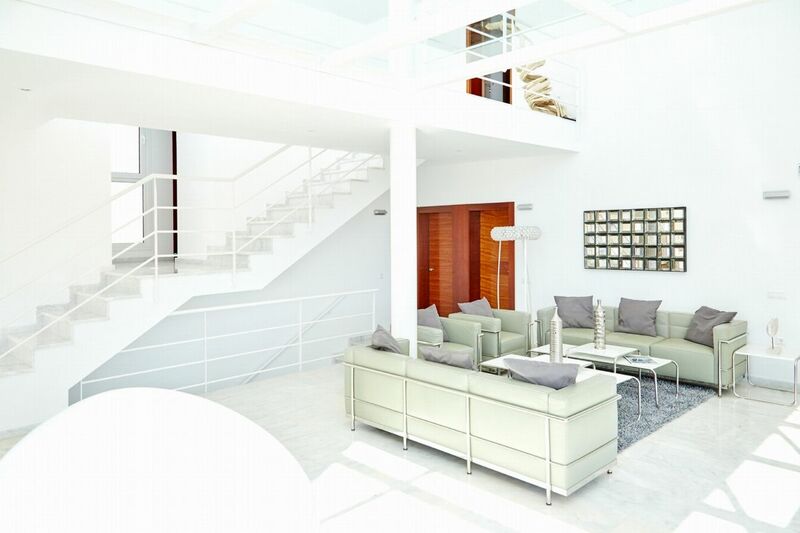 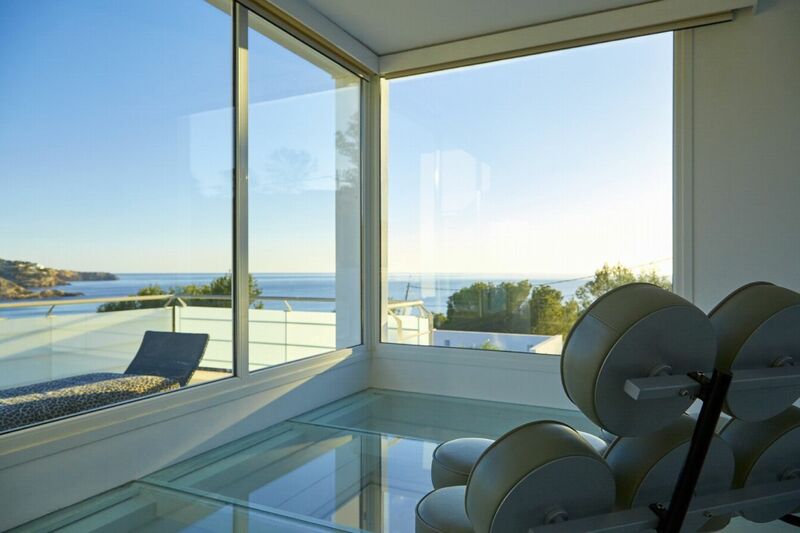 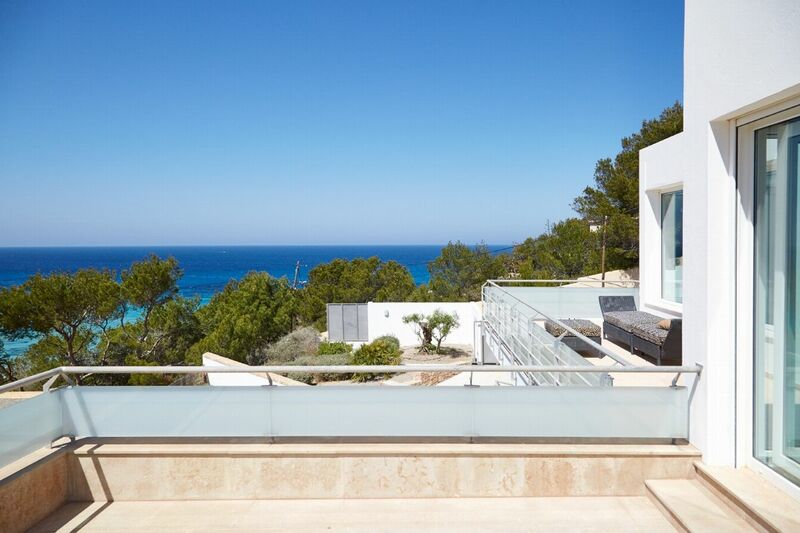 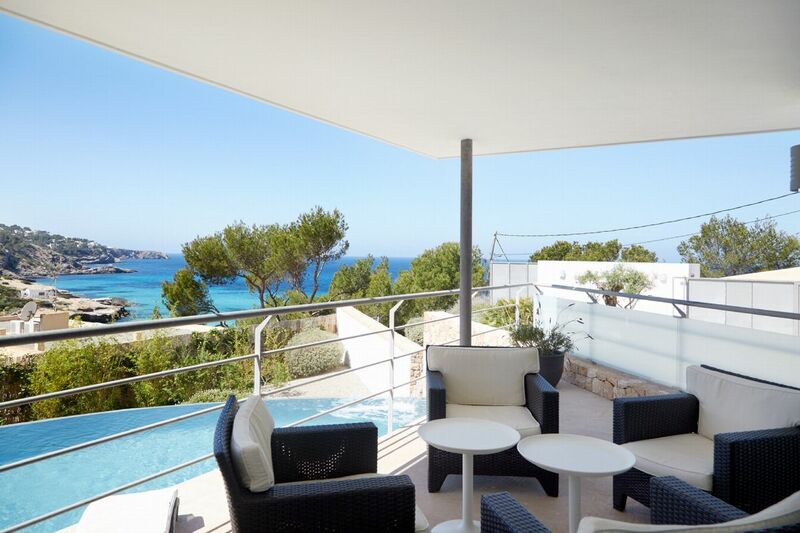 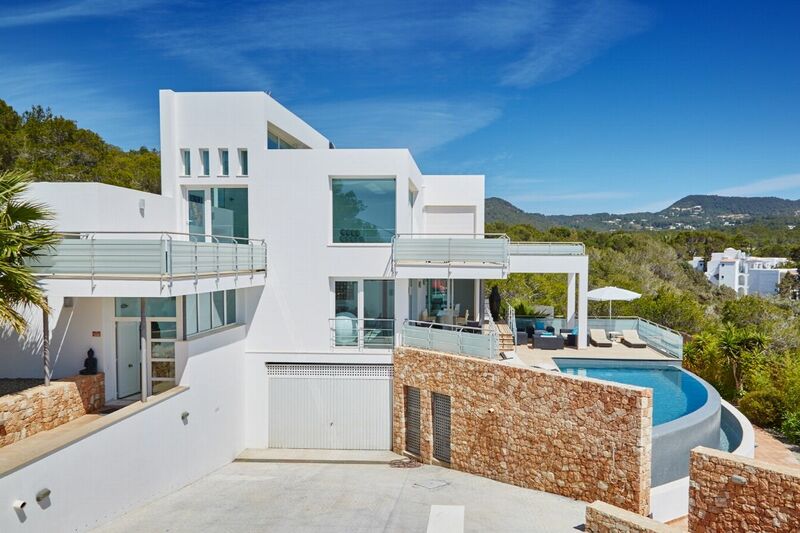 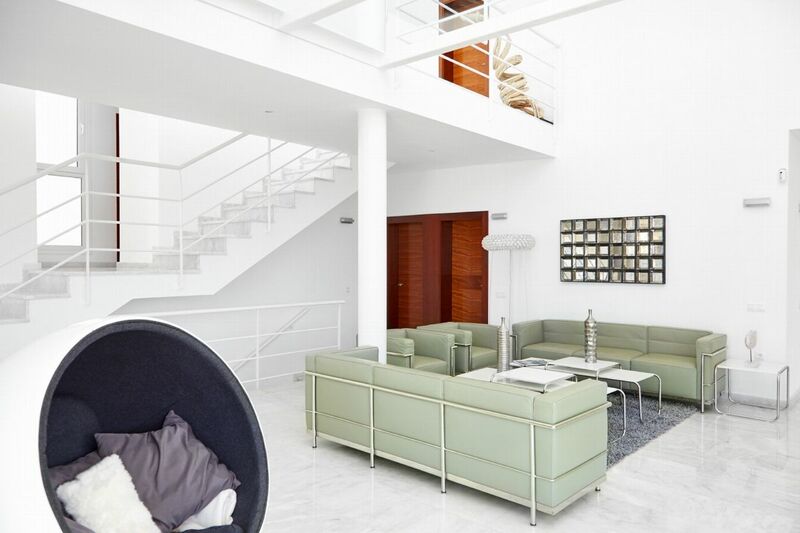 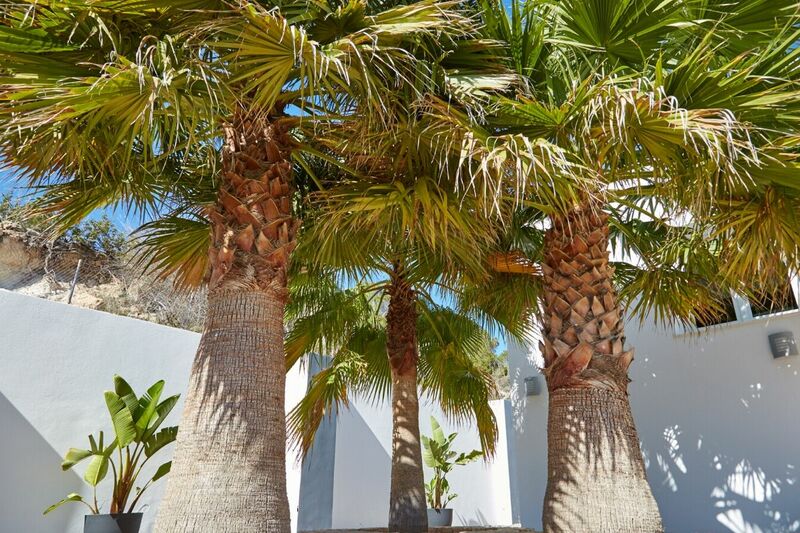 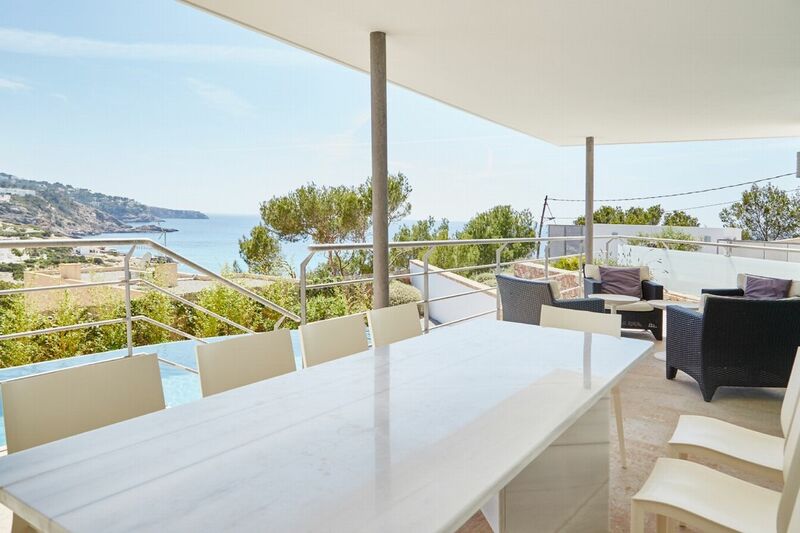 Constructed in modern styles, with fabulous design features this villa is set in the privileged location in the bay of Cala Tarida, just above the beach, with amazing sea and sunset views. 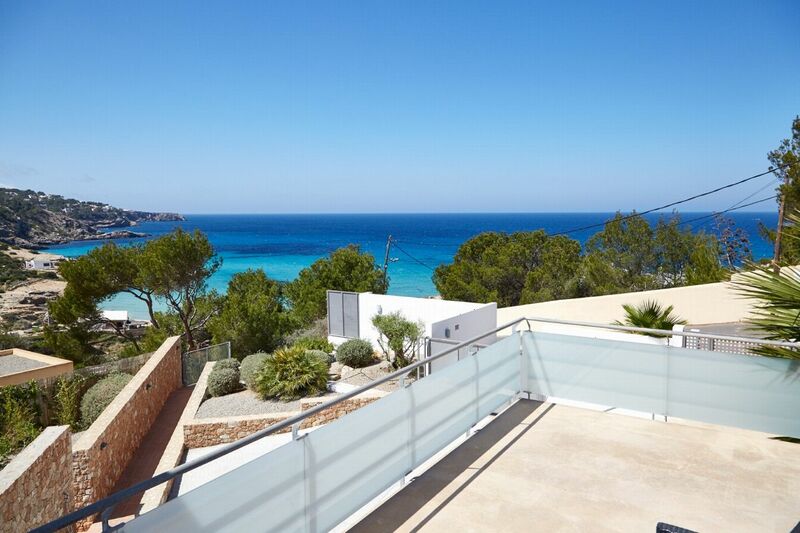 It is just 150m away from the beach, that can be accessed easily by walking. 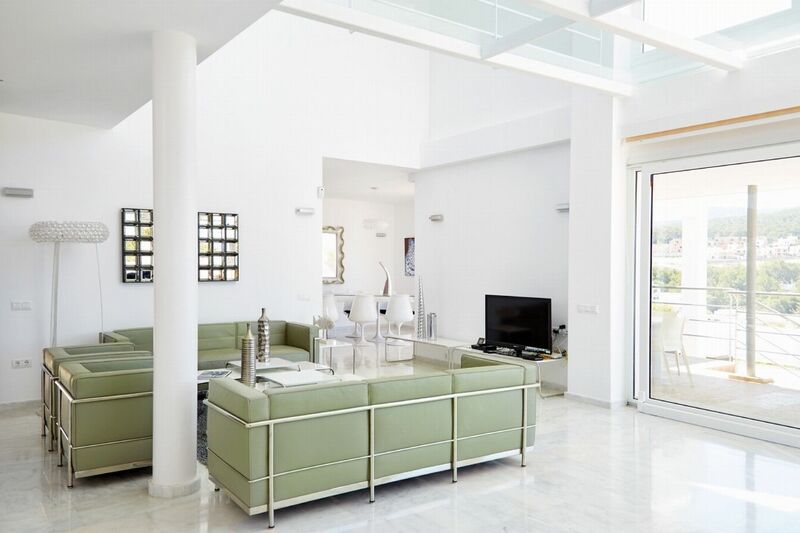 The property consists of the main house and a separate apartment distributed over different floors. 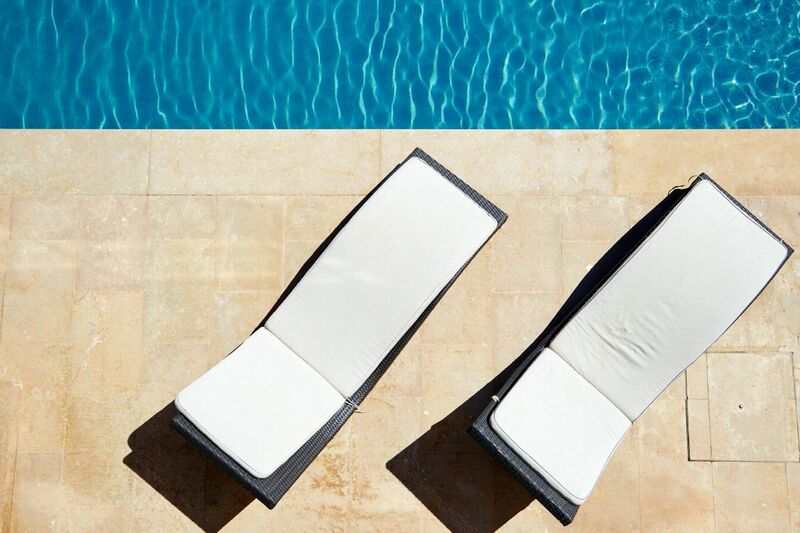 OUTDOOR AREAS All terraces are furnished with high quality Balinese beds, sun beds, tables and chairs. 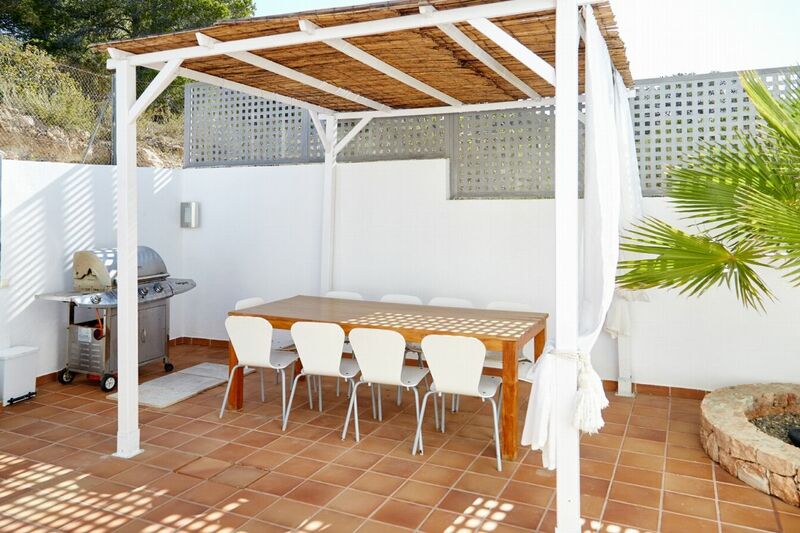 There is a BBQ (gas), outdoor dining area, a fantastic large swimming pool and closed parking for several cars. 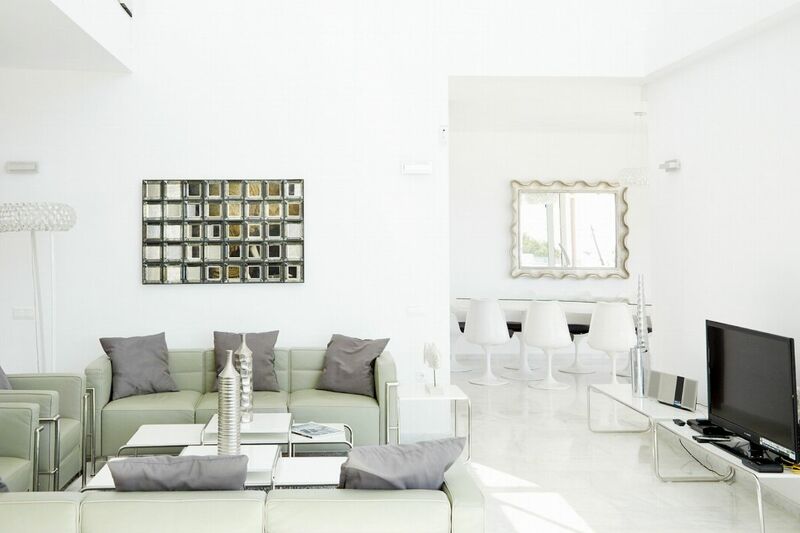 LIVING AREAS This villa boasts a large living and dining room for 10 people, it is very bright with access to a covered terrace with chill out area and outdoor dining area. 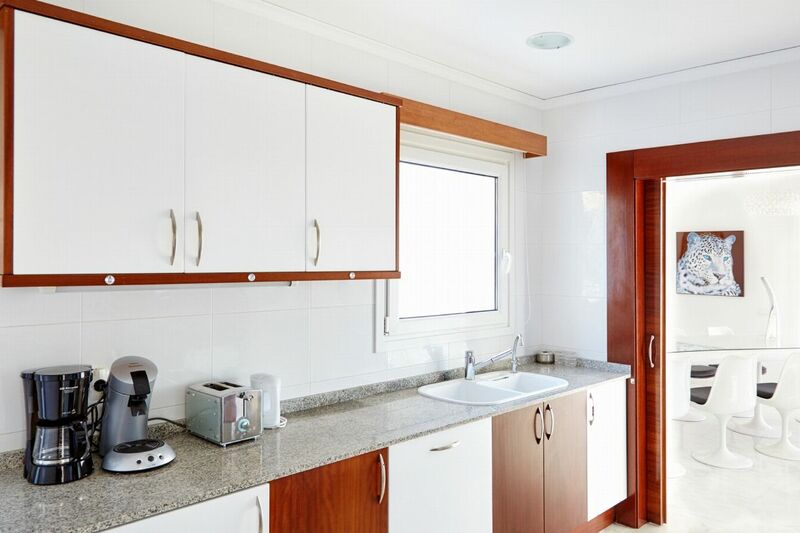 In the living room there is a TV with international satellite and stereo, there is a modern fully equipped kitchen with dishwasher, ceramic hob, oven and microwave etc. 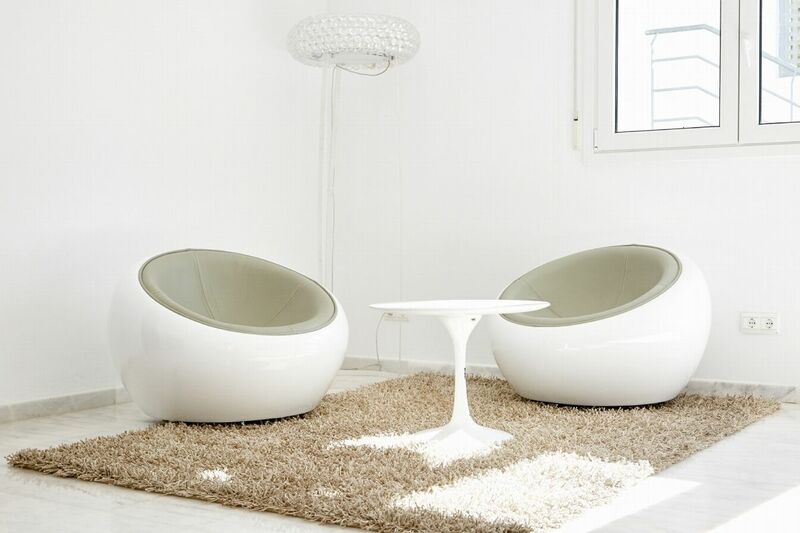 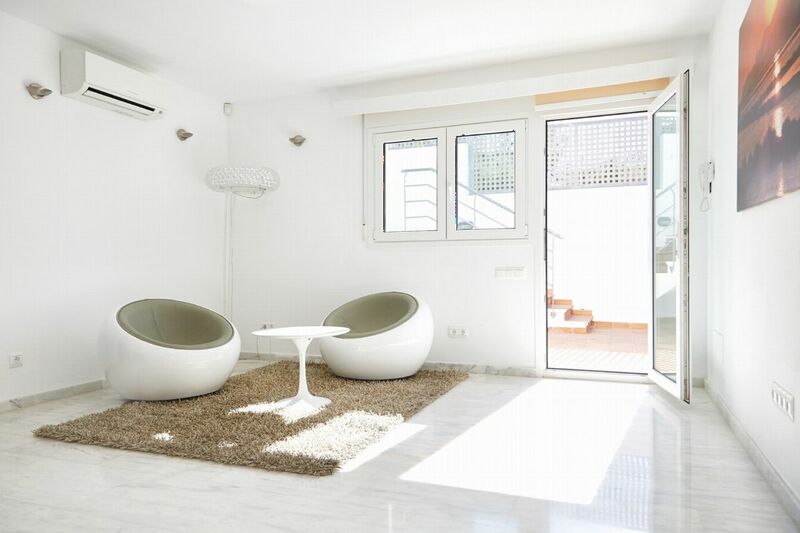 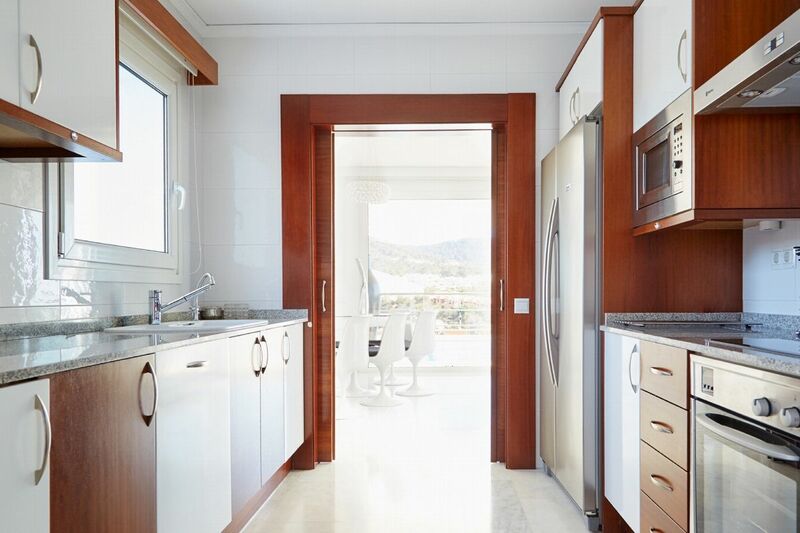 The separate apartment consists of a small living room with fridge and a terrace with sun beds and armchairs. 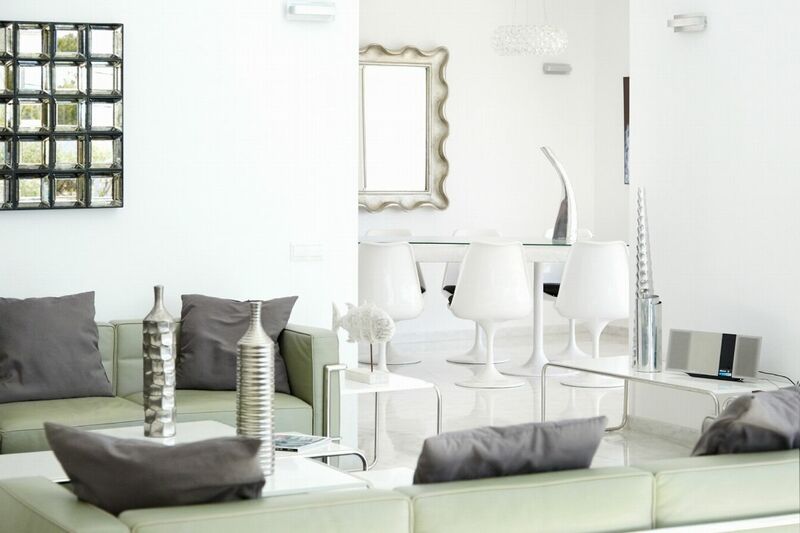 Also there is access to WiFi and air conditioning is throughout the property. 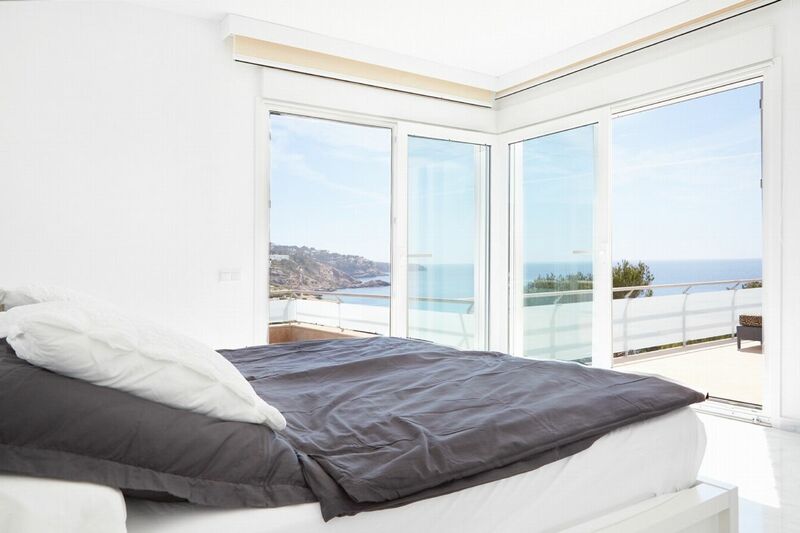 Double bedroom with twin beds (possible to join the beds), en-suite bathroom with shower. 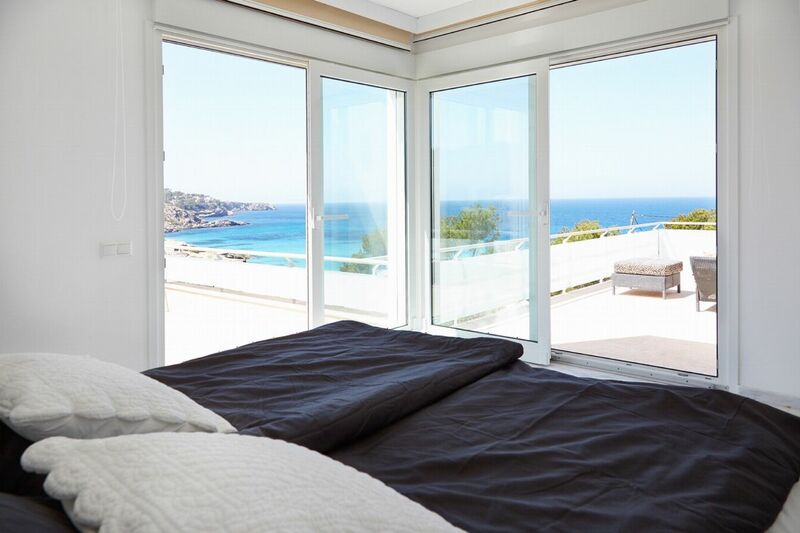 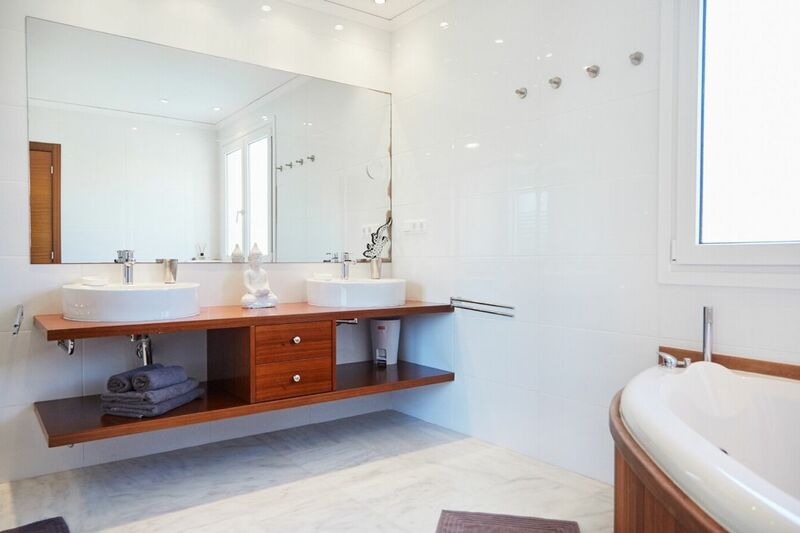 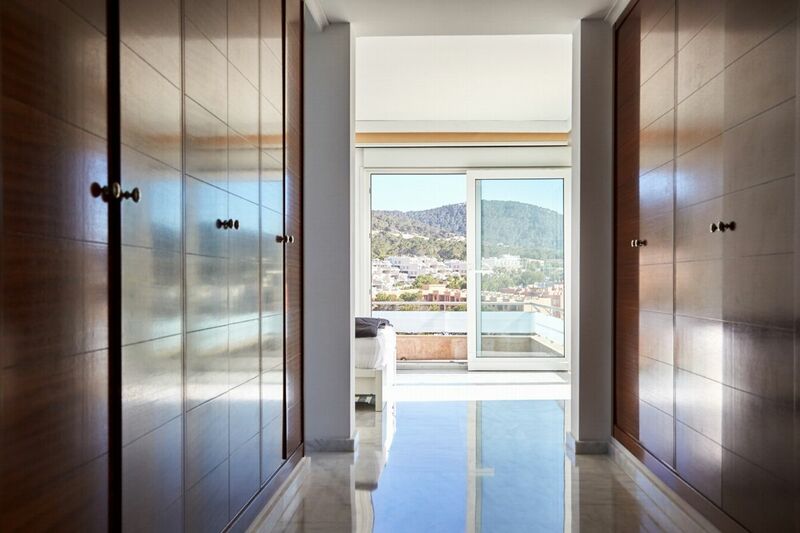 Master bedroom with spectacular views, large en-suite bathroom with Jacuzzi and shower. 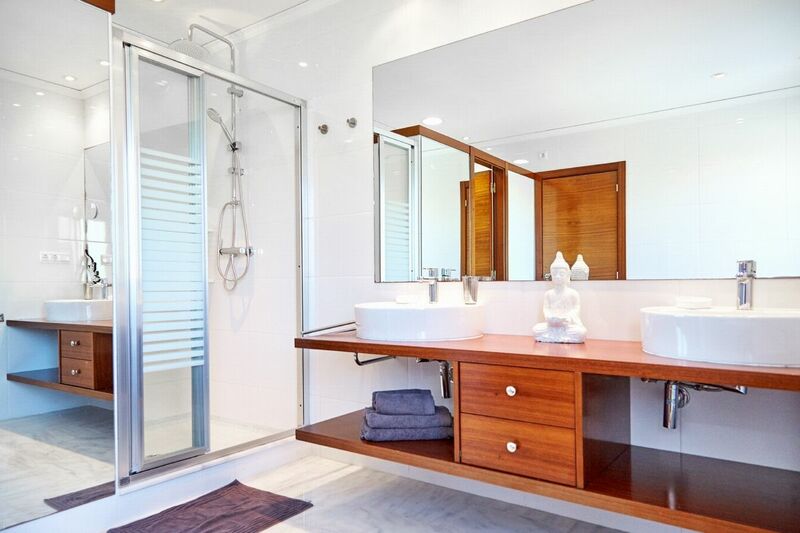 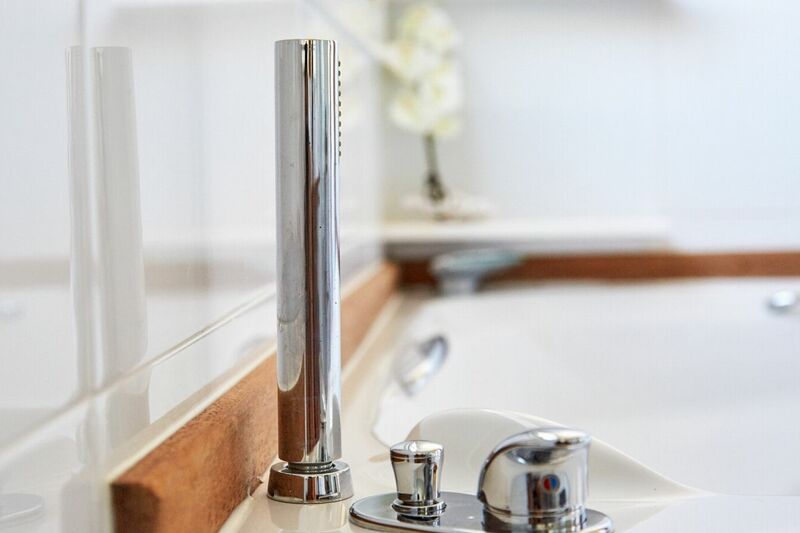 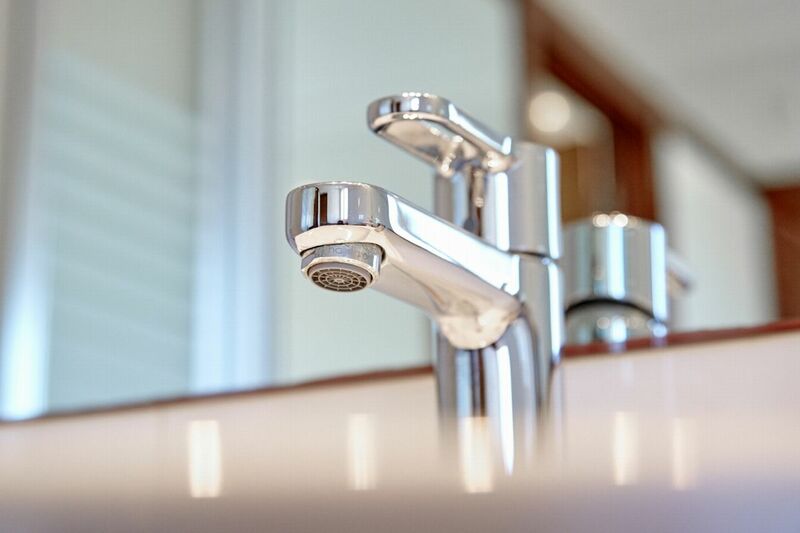 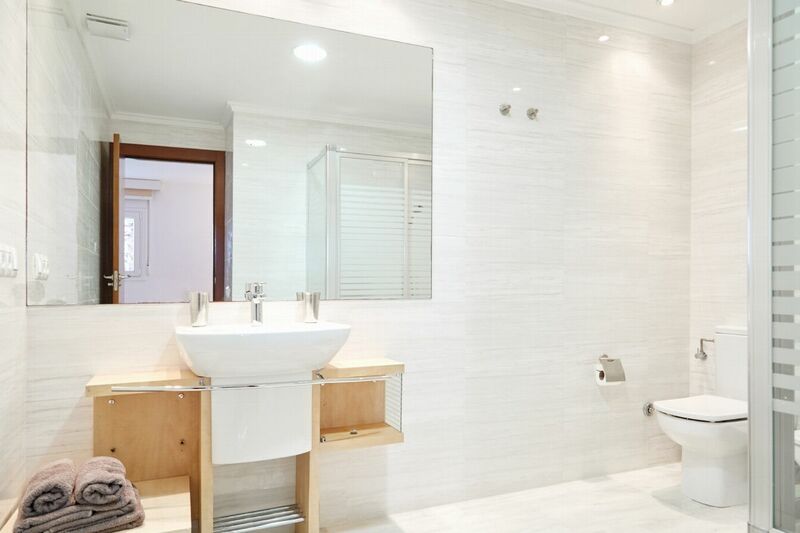 Separate Apartment: Double bedroom with twin beds and bathroom with shower.